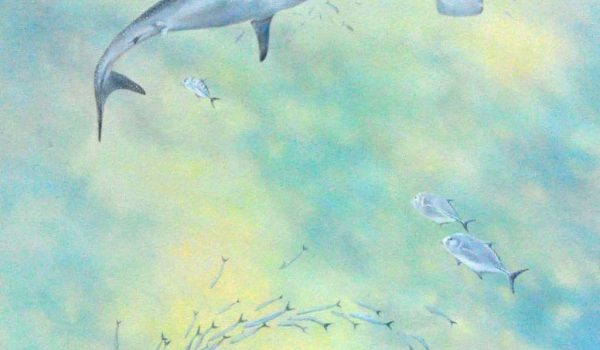 Can anyone write better lyric poetry than Henry Wadsworth Longfellow? 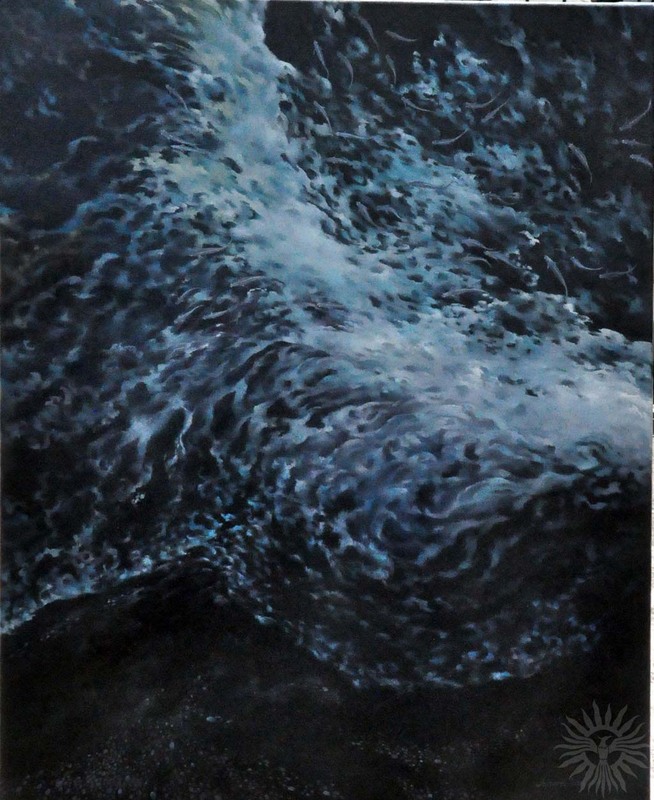 Of him, Edgar Allan Poe has written: “the best poet in America.” In that one sweeping stanza extolling the beauty and mystery and power of the sea to move the human spirit, Longfellow distilled all the feelings of wistfulness for that great body of water: the sea. 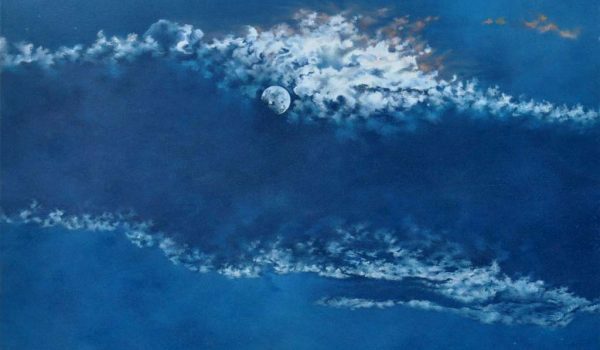 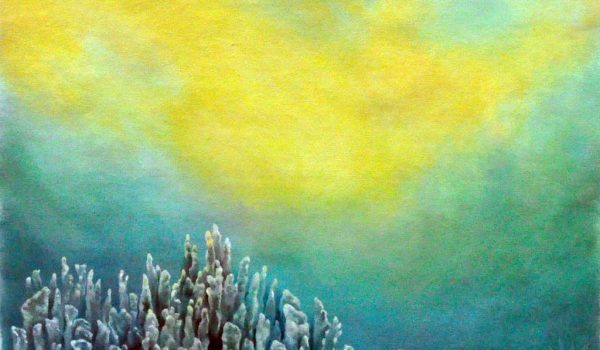 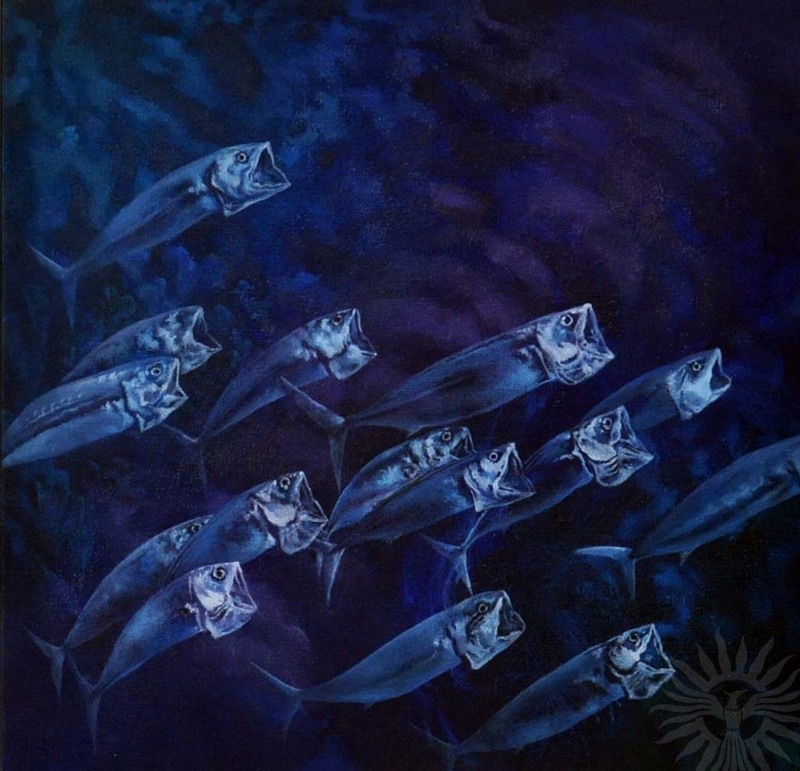 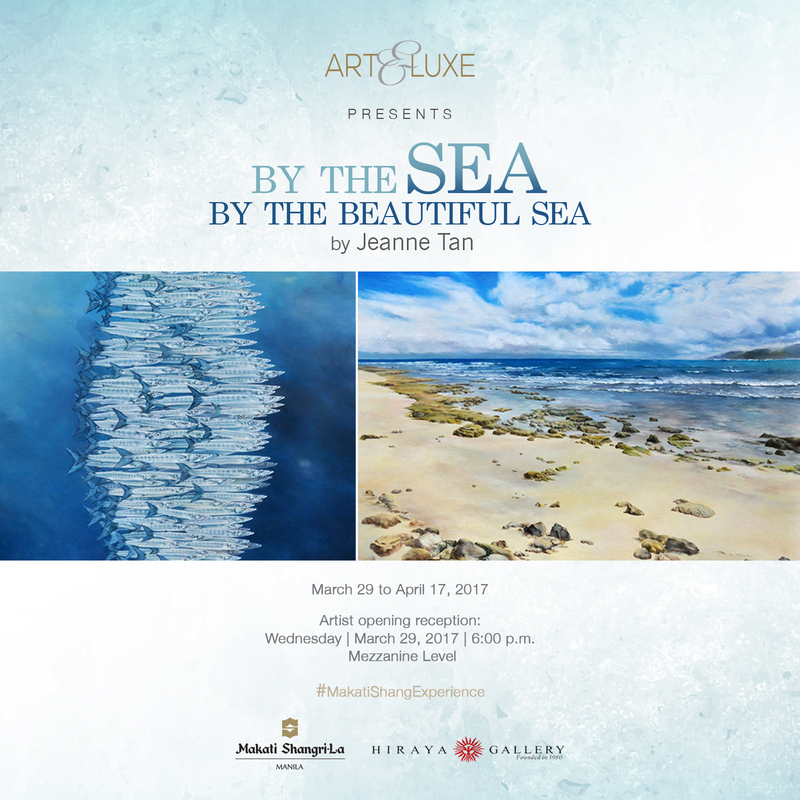 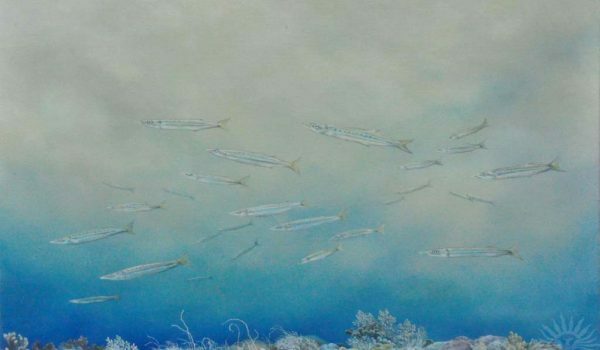 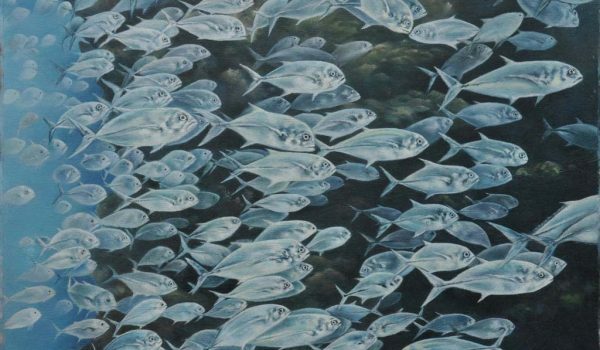 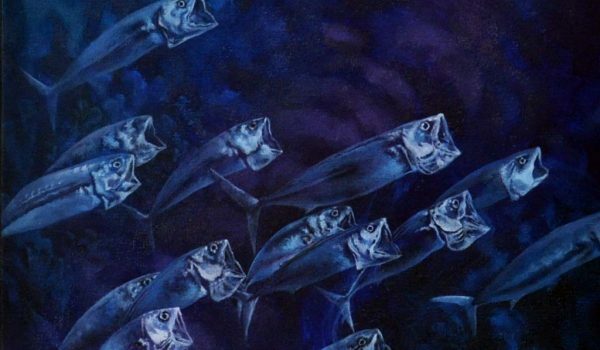 On view at the Makati Shangri-la, Manila is a show organized by Hiraya Gallery titled “By the Sea, By the Beautiful Sea.” The simple repetition of the word sea is by itself an exaltation, an elation, a rapture: In a word: ecsta-sea! 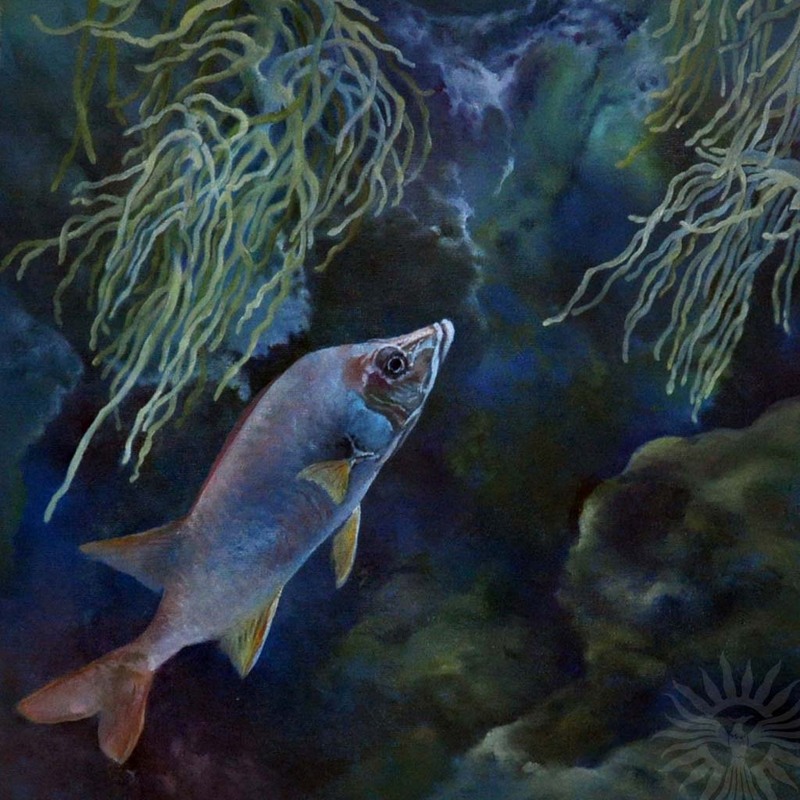 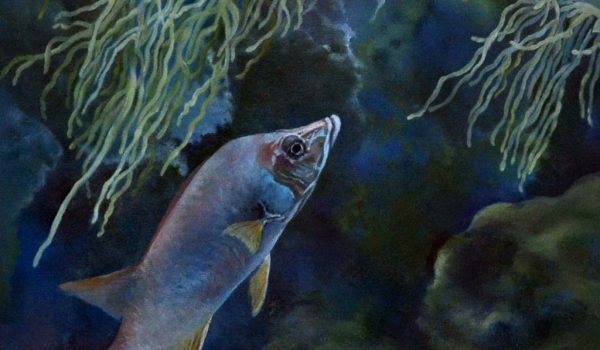 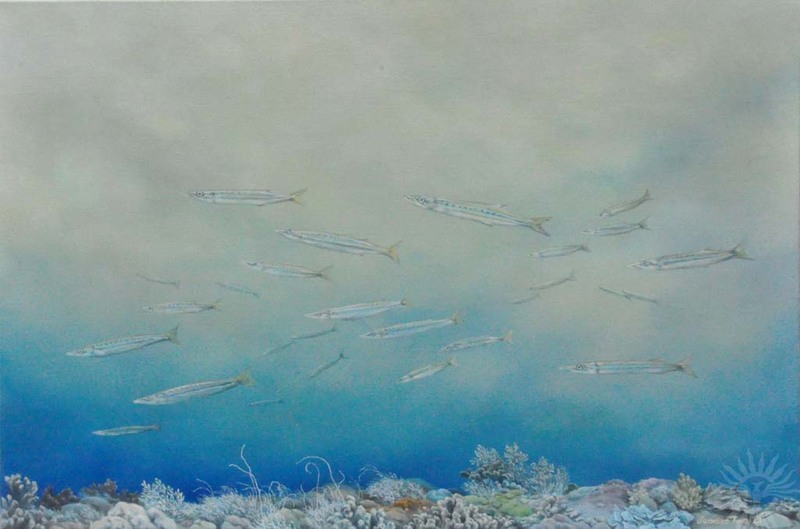 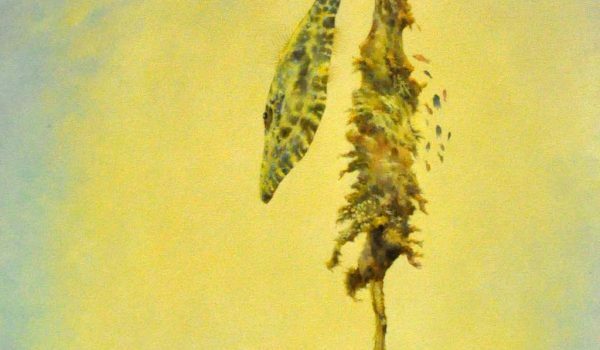 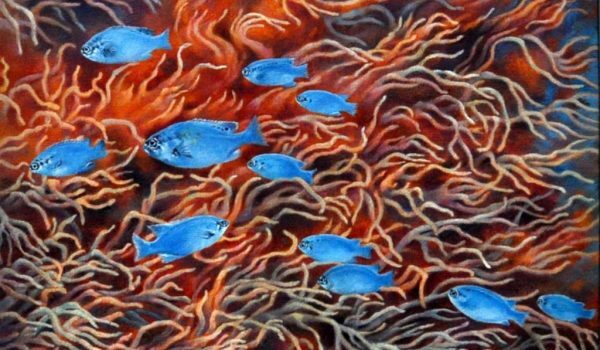 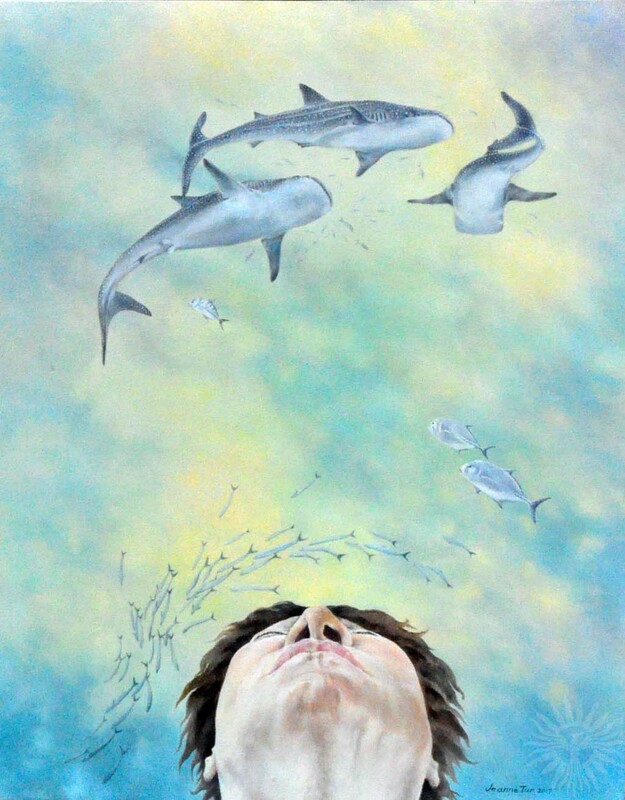 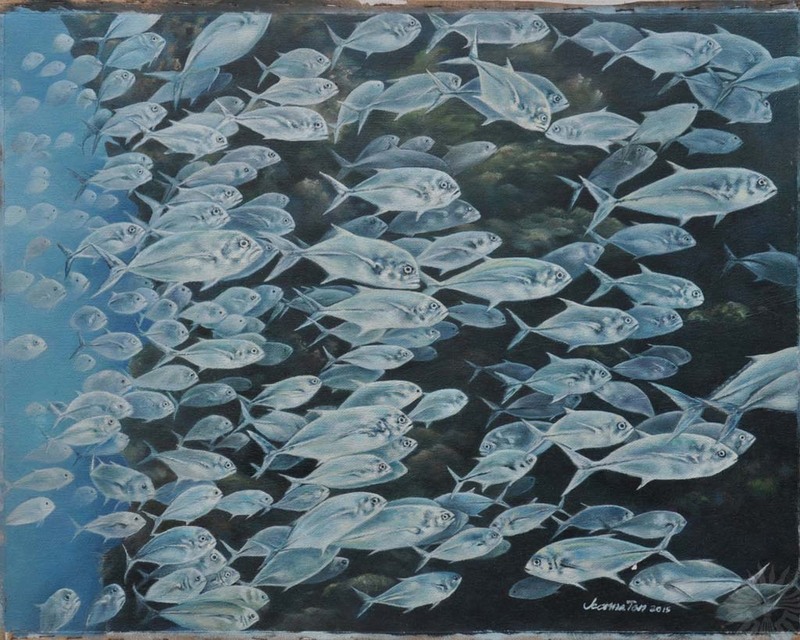 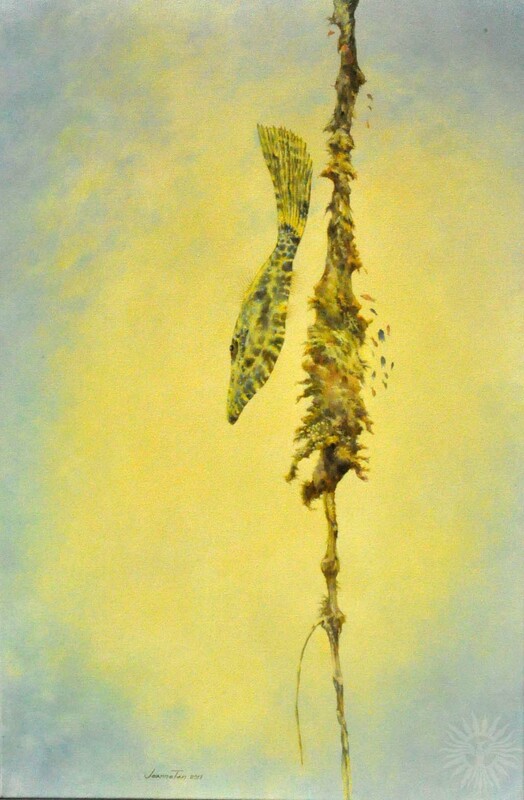 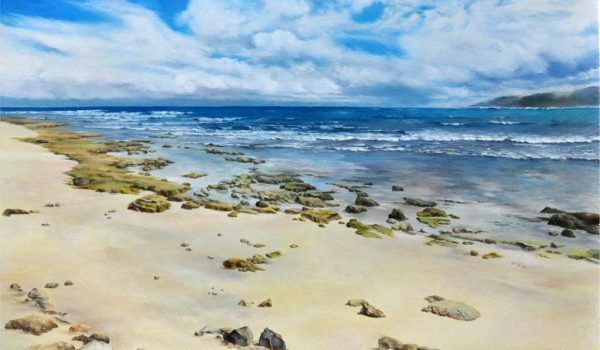 The artist is Jeanne Tan, and if one knew that the artist is herself a descendant, a granddaughter, of a well-known marine painter, one would not be taken by surprise. 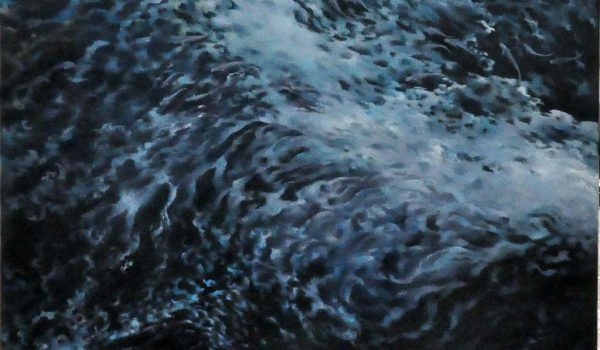 For Jeanne grew up surrounded by canvases of the sea, of galleons and schooners, and clippers and Chinese junks sailing the high seas, or docked in harbor. 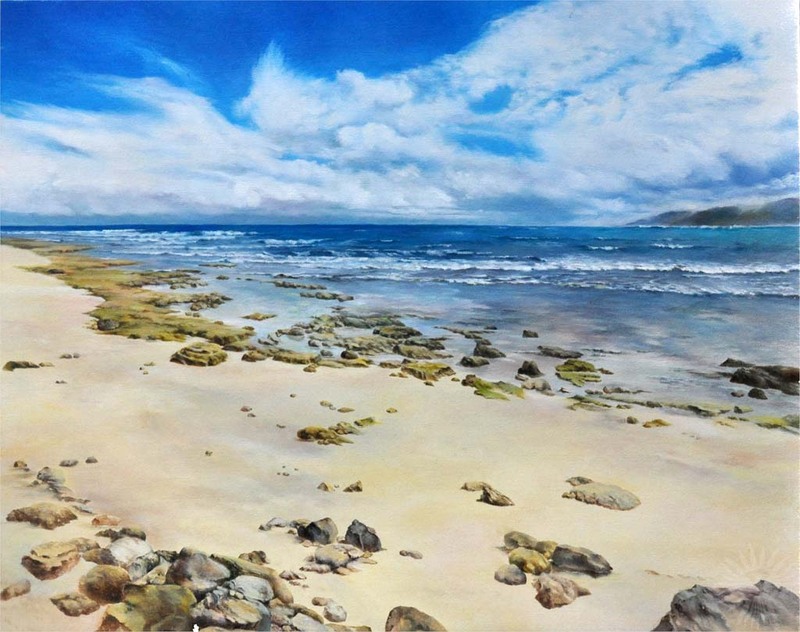 Since then, she has had her own love affair with the sea, coming to life whenever she’s by the shore, the sea breeze blowing her hair, and sea water gently rippling over her feet. 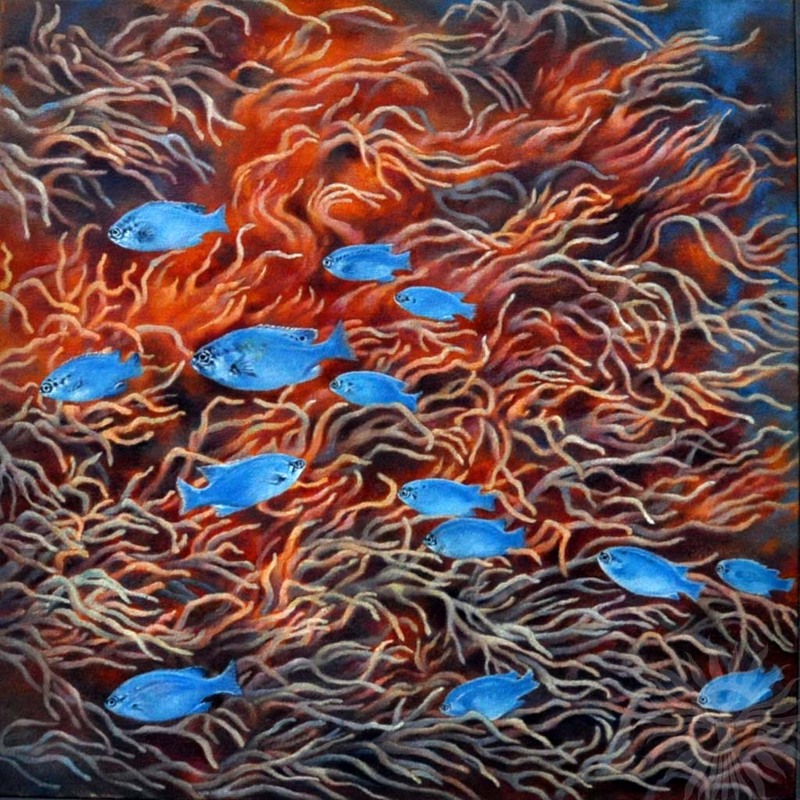 Looking at her canvases, the viewer feels as though he has seen the artist surfacing from the watery depths, holding up not a handful of seaweeds but, lo, visions of a multitude of fishes, translucent and transparent, open-mouthed and gulping, a glowing light of fins and scales, swimming in a phalanx formation of aquamarine blues. 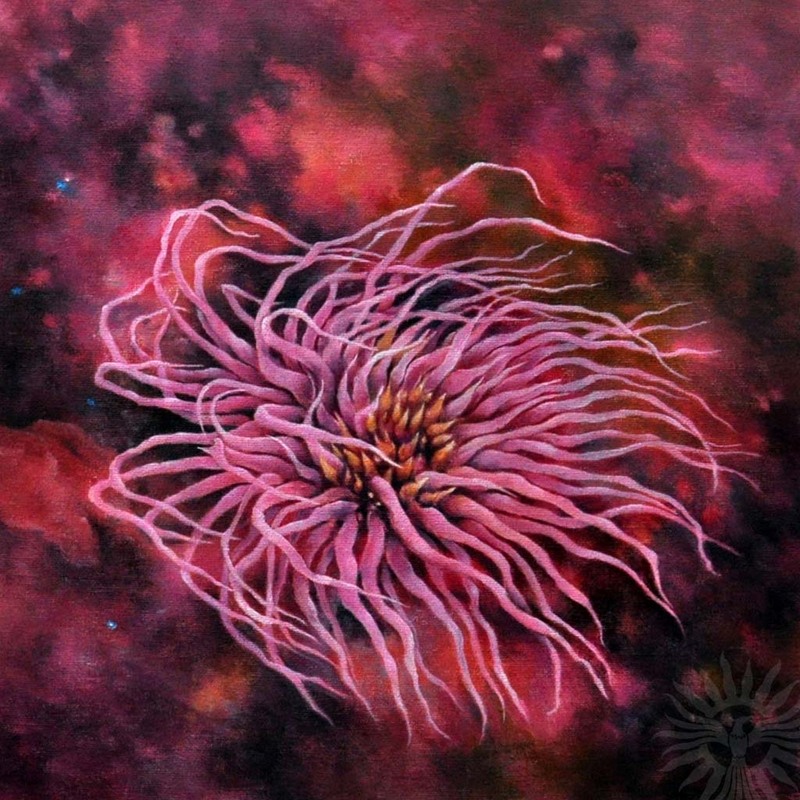 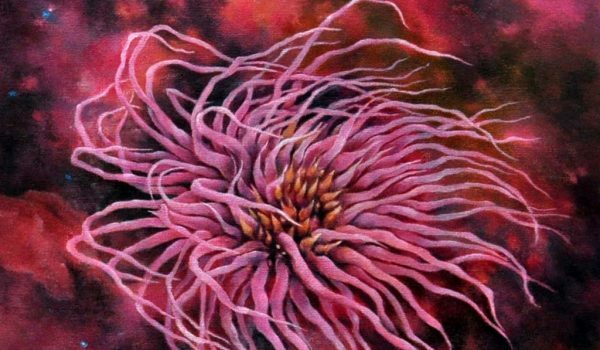 Behold the colorful floral-like blooming of the sea anemones, but beware, for those seeming waving petals are in fact the tentacles of a predatory animal. 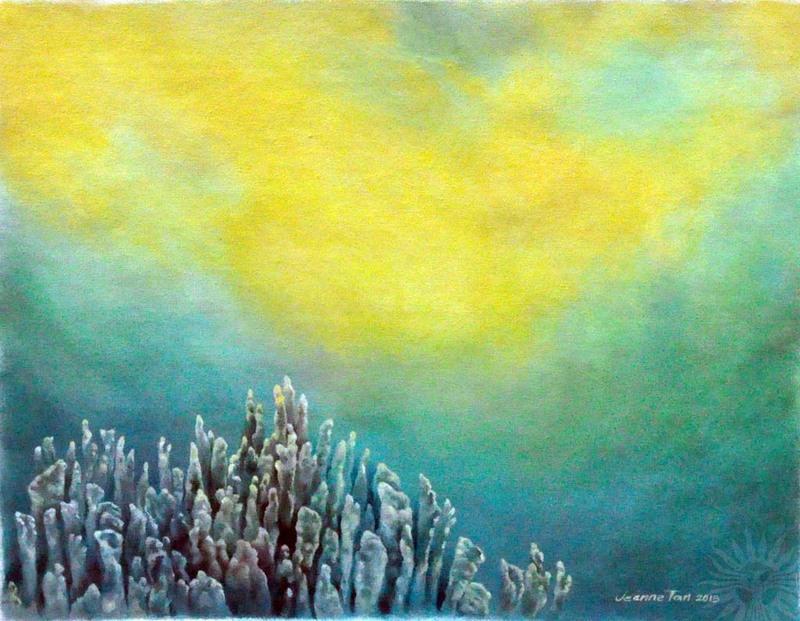 But out of the water world are the calm waters and the clear blue skies and the wide open space as far as the eye could see in the distant horizon. 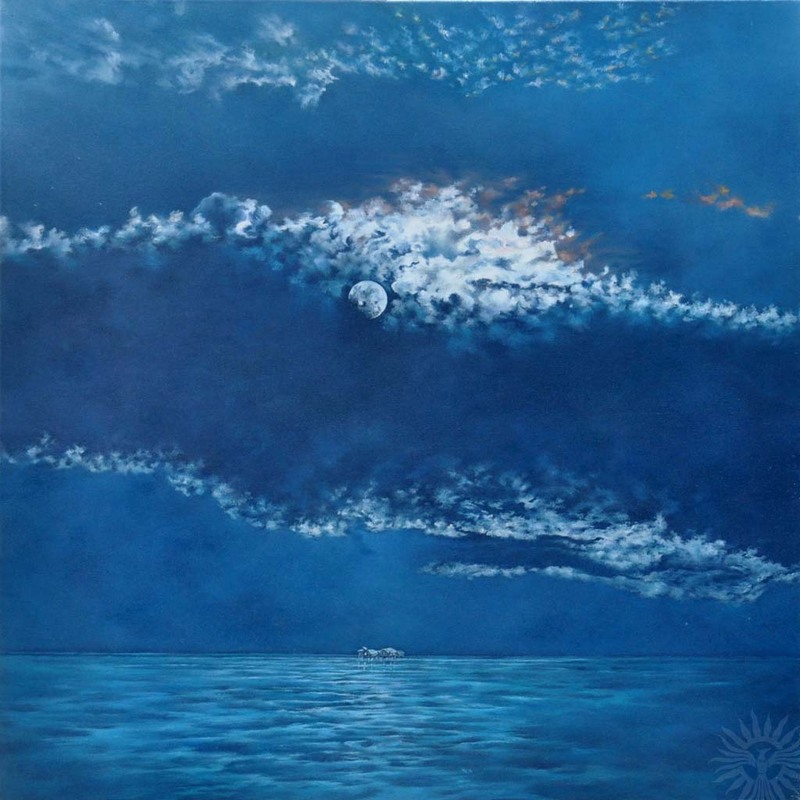 And with some luck, the viewer may catch sight of an illusion of galleons and schooners, clippers and Chinese junks, sailing the high seas, which the artist’s grandfather, Alfredo Carmelo, once in a long ago time, captured on his own canvases with amazingly fidelity.